Neighborhood Allies, the new organization which sprung from the remnants of the Pittsburgh Partnership for Neighborhood Development, has named Presley Gillespie its first executive director. Gillespie, who will take the lead at Neighborhood Allies in mid-May, leaves the Youngstown Neighborhood Development Corporation in Youngstown, Ohio, where he served as its CEO for the last five years. During his time in Youngstown, Gillespie turned the organization from a start-up with a $200,000 budget into a nationally recognized neighborhood development player with a $3.1 million operating budget. Prior to his stint at the YNDC, Gillespie spent 18 years in the banking industry, where he focused much of his effort on community development lending and revitalization. 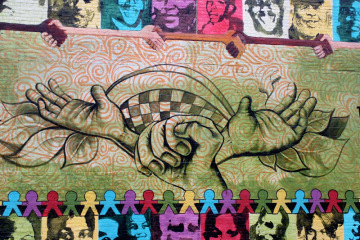 Neighborhood Allies, which launched late last year, is considered by its founders as an all-new organization that was formed after PPND ceased in 2012. 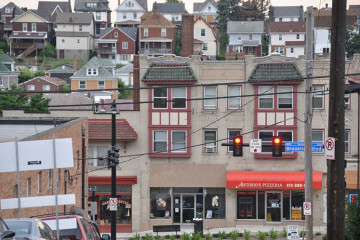 Between 1983 and 2012, the PPND was often the initial catalyst in spurring cooperation between community organizations and businesses looking to maximize their investments in community redevelopment. Allies will work with community organizations and non-profits to help optimize their budgets, goals and outcomes, and they will work with foundations, banks and corporations to help them create strategic approaches in their community development investments. “As I’ve gotten to communicate with the leadership and board, I believe that they fundamentally believe in leading to help all neighborhoods and fostering change where systemic blight and vacancy exist,” Gillespie says. The PPND had an annual operating budget of $2.5 million in 2012 and distributed about $1.5 million in grants to community development efforts across the city. Now, Neighborhood Allies will look to serve as that funding superconductor, working with a vast network of residents, business owners and corporations to affect genuine change in under-served and distressed neighborhoods.